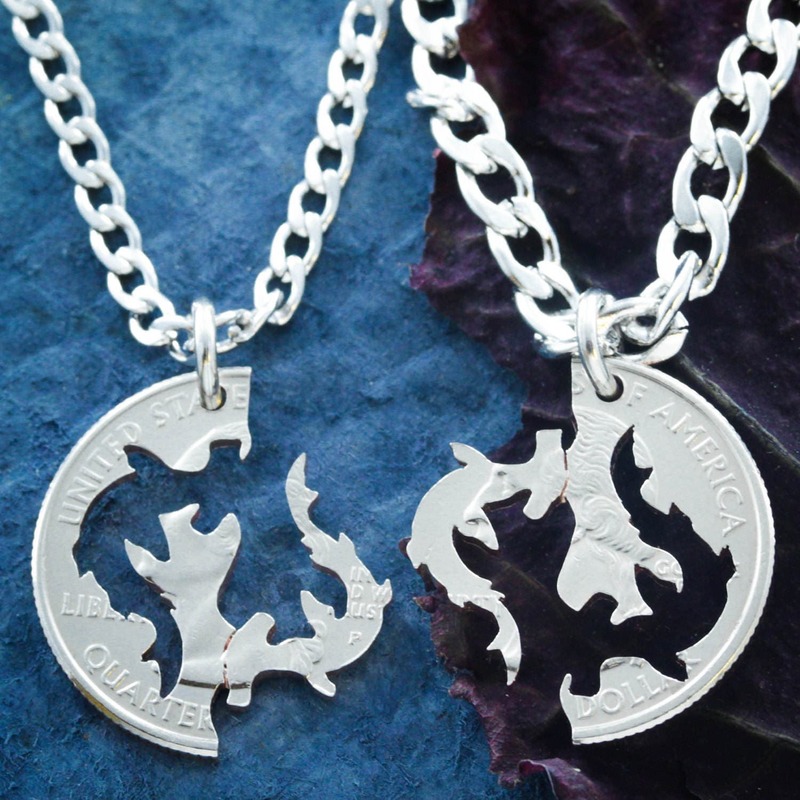 These necklaces interlock perfectly together and have been hand cut to feature 2 hammerhead sharks. 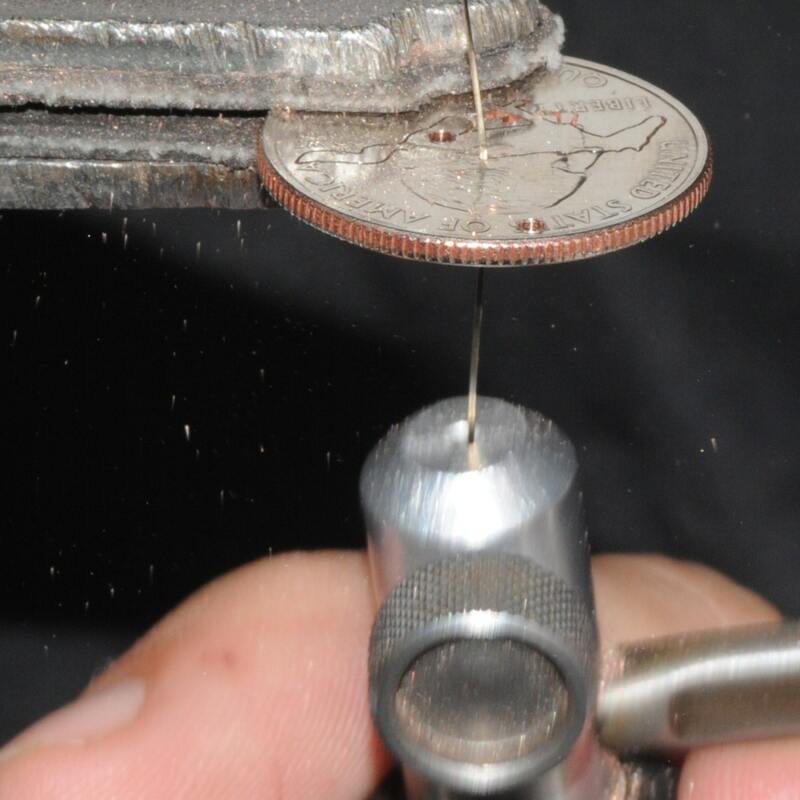 They are cut entirely by hand with a jewelers saw from a real US coin. We have several coin options. 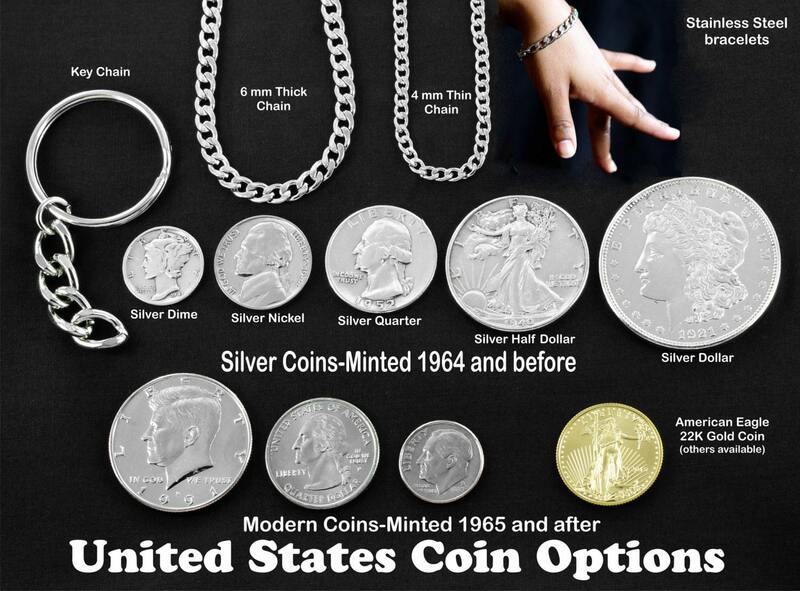 Pick the one that you think will be the best size and consider having it done in silver. 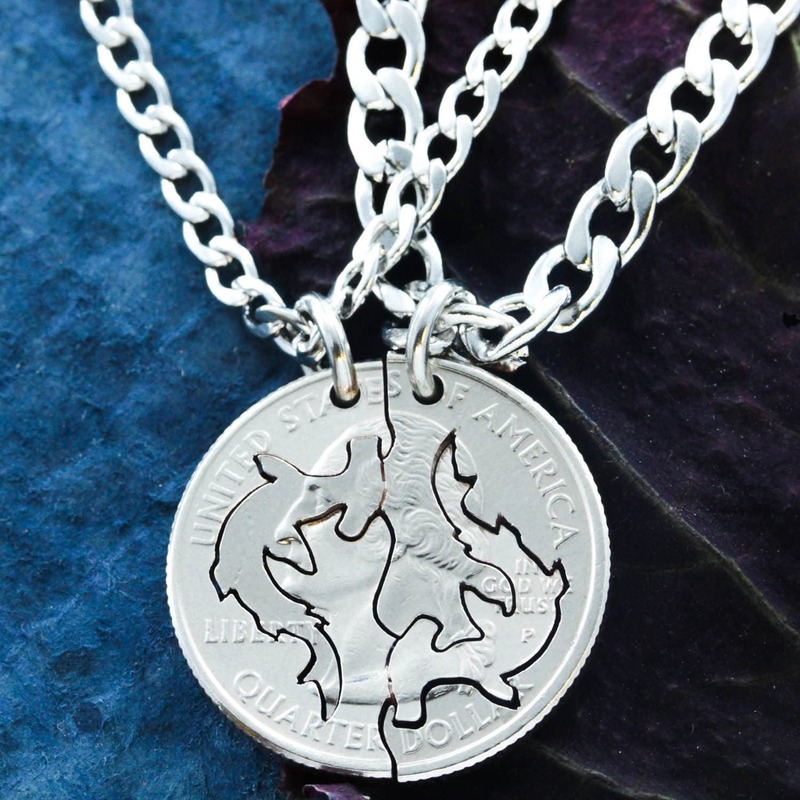 Our work is especially beautiful with silver!